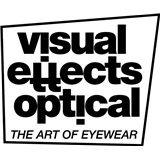 Visual Effects Optical (Chicago) - Book Appointment Online! In the twenty nine years we’ve been in business, I’ve had the opportunity to transform thousands of faces from just ordinary looking into “Visual Effects” faces, with eyeglasses that look great. What I’m always asked is, “How do I find that perfect frame? How do I manage to do it on the first try?” The answer is simple. It comes from my instinct; it is my gift, my art and my passion. I look at a face and picture shapes that compliment and enhance the natural flow of your features. I will even challenge you to try styles that you would never have imagined on your own. We will work together to find that perfect frame. I wouldn’t be able to do what I do at Visual Effects if it weren’t for our selection of thousands of contemporary and progressive frames all personally chosen by myself. This ensures our customers the greatest collection of international modern eyewear. Visit us! I have been going to Dr. Steinmetz for almost the entire time he has been in practice. I would not go anywhere else unless he decides to close his doors.